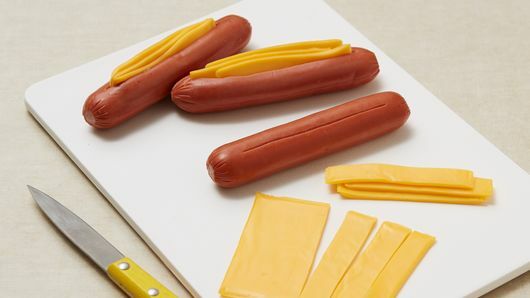 Refrigerated doughs like to stay chilled, so keep the dough in the fridge until you stuff all of the hot dogs with the cheese. American cheese is a good choice for easy melting, but other varieties of deli-sliced cheeses, like Havarti, smoked Gouda, Provolone, and pepper Jack work well, too. The crescent dog is easily one of the most-loved snacks (or dinner!) of our childhood. It also doubles as the perfect party food and can be served as an appetizer . 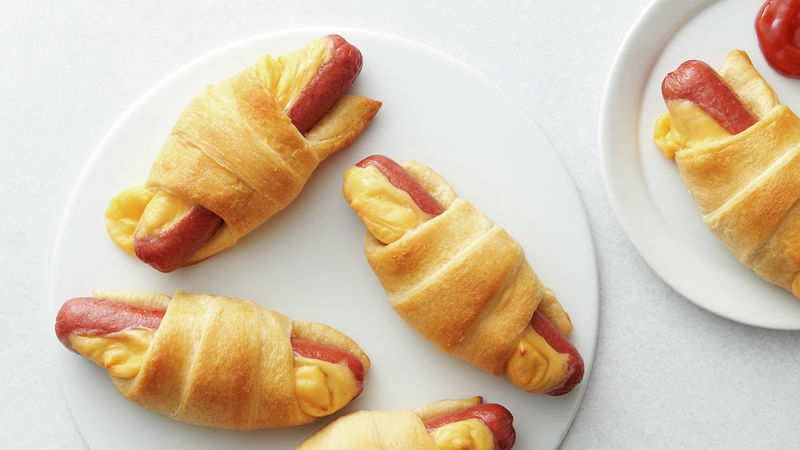 While most people grew up calling sausage rolled in a buttery croissant “pigs in a blanket,” there have been several renditions of the traditional concept created like our Mini Crescent Dogs or Everything Bagel Crescent Dogs . In the United States, we usually roll a classic hot dog up in crescent dough and bake until the crescent is warm and flaky. In other countries, pigs in a blanket uses Vienna or breakfast sausage rolled up in some form of bread. Pigs in a blanket has also become a popular breakfast idea; a breakfast sausage gets wrapped up in pancakes and drizzled with maple syrup. 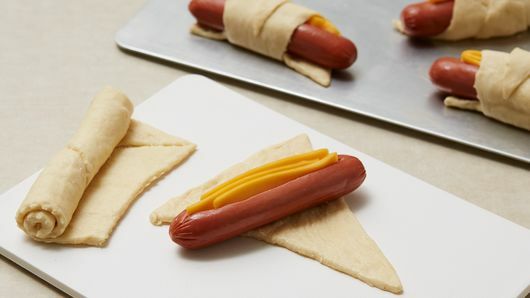 Betty Crocker published a recipe for pigs in a blanket or crescent dogs in 1957 in its “Cooking for Kids” publication but there are several claims that the recipe was made and enjoyed long before Betty Crocker published it.